Restart after restart Kyle Bush held off everyone and completed his dominant performance. 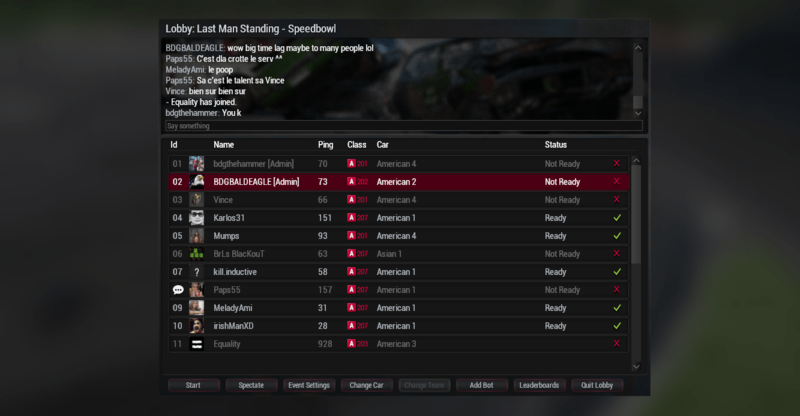 Our members bounced up and down the leader board after each one of those restarts. 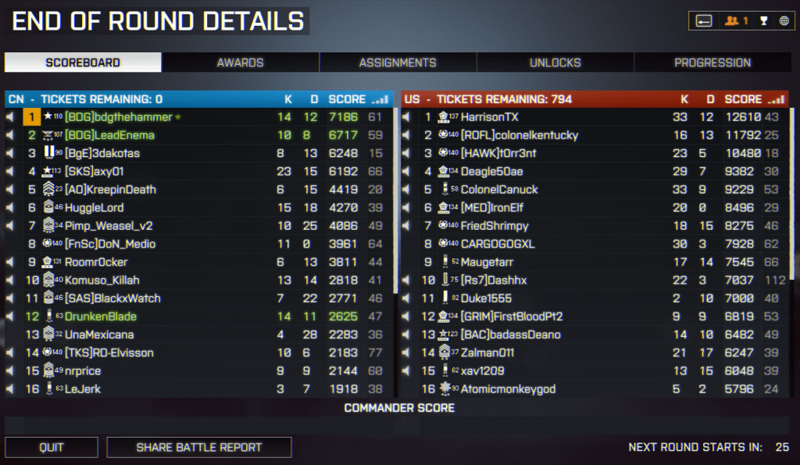 When the dust settled I was able to barely hold off lkfitz for the win with 216 points. 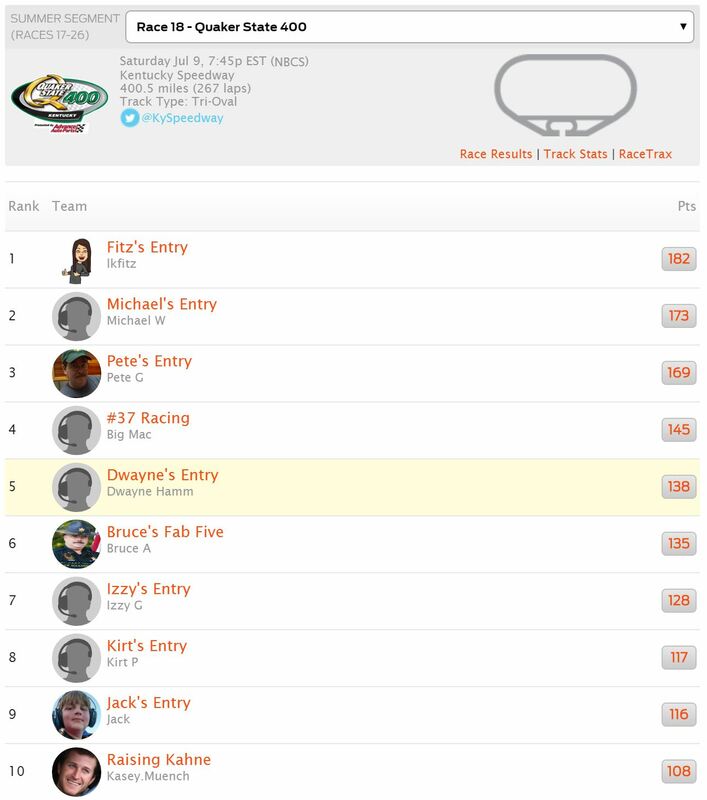 Another top three finish for lkfitz putting her well into first place for the Summer segment with 214 points. Kasey Muench ended up a few points behind her mother in third place with 207. We found ourselves at New Hampshire Motor Speedway for the New Hampshire 301 in week 19. A mile track that races like a speedway. Drivers really didn’t feel comfortable with their sets but in the end Matt Kenseth’s team found the balance needed and came away with the win. With 213 points Lkfitz dominated this week with her second win in a row. Lkfitz has surged in the overall points and is the leader in the Summer segment. Watch out peeps! Pete G took second with a strong 208 points day. Pete G is another competitor that has surged lately. He is currently tied with me for second in the Summer segment. We had a first time ever four way tie. That’s right. You heard me. Corey C, Bruce A, Jeff B and Jack all tied for third place with 185 points! Oddly enough two out of the four didn’t even pick the same drivers. Congrats to all the third place finishers lol! 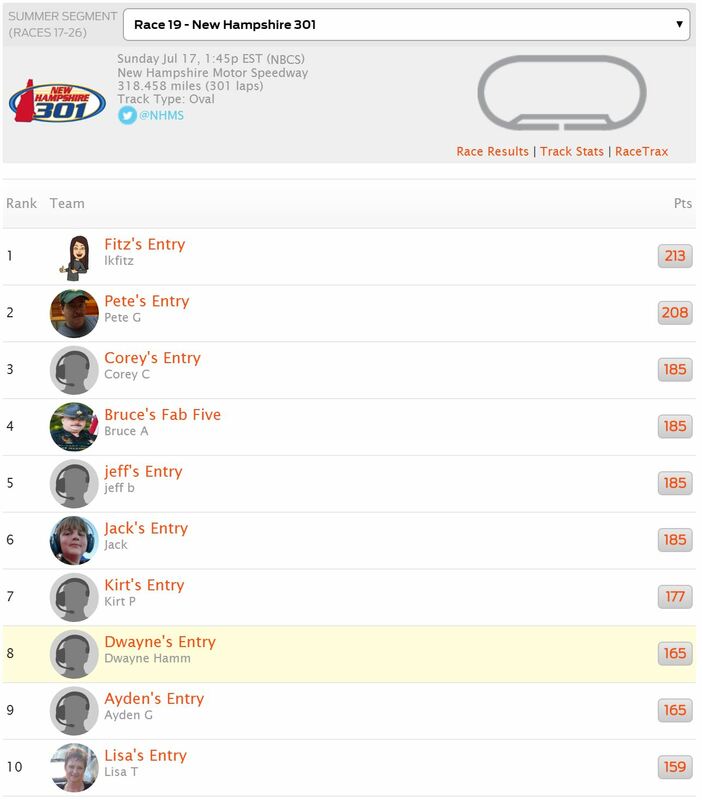 Week 18 was hosted by Kentucky Speedway for the Quaker State 400. The newly paved surface and low downforce package provided plenty of action with slip sliding cars, wrecks and lots of passing. In the end Brad Keselowski won the race. 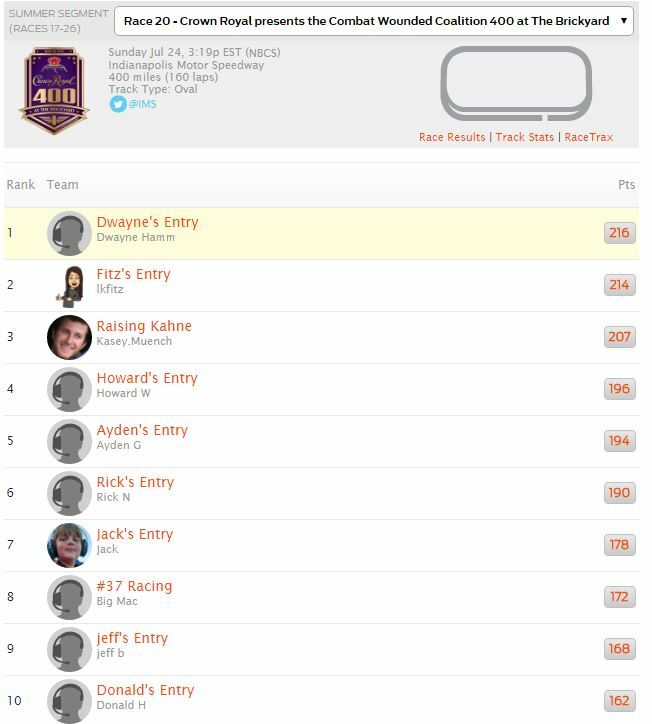 Lkfitz picked the winning team and earned her first win of the 2016 fantasy season. She has finished close several times but was able to seal the deal with 182 points this week. Runner up was Michael W with 172 points. Pete G rounded out the top three with 169 points.